Special Dietary Needs Cookbooks and Recipes! Time to get the garden ready! Spring is in the air and the weather is finally warming up. This means one thing for my family, it is time to start preparing the garden for planting. A garden is a great asset for a family in many different ways. 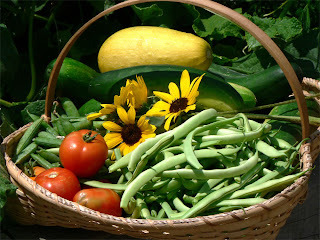 First, you get the best quality of vegetables for your family to eat. Second, it is a great money saver. 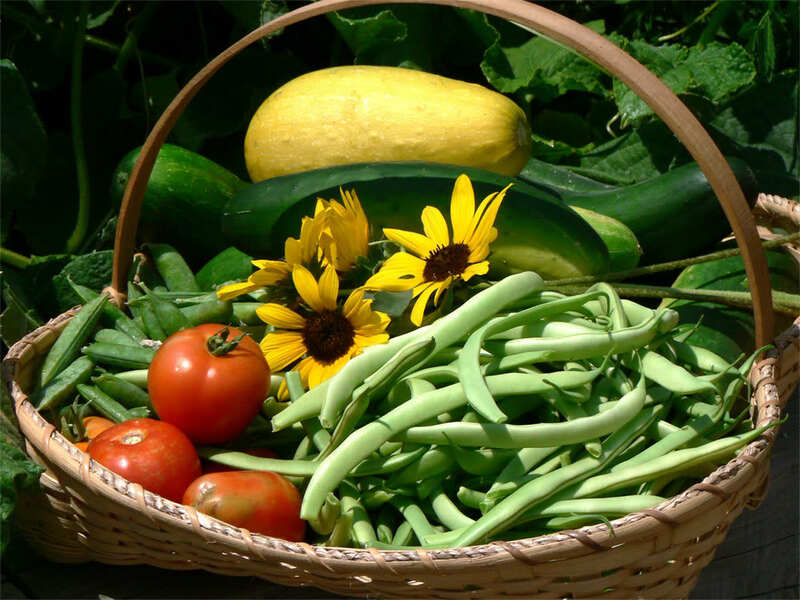 Fresh vegetables can be expensive to buy at the supermarkets and having a garden in your yard will ready add up. Third, if you have a freezer and plan out your garden just right, you can freeze or can enough vegetables to last you until next spring. When deciding on your garden, there are a few things to consider. First is how much space can you devote to your garden. This depends on the size of your yard of course. A lot of people live in town and do not have a large yard. 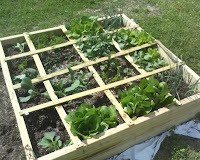 We have some friends that only have about 1/2 of an acre for a back yard and they decided to do box gardening. This is done by building "boxes" to plant in. They planted 90% of their back yard in boxes and were able to eat all spring, summer, and fall and put up a large amount for later. The second thing to consider is harvesting schedule. Most vegetables and fruits will be ready to harvest at different intervals. If you do some planning in the winter and pick out which plants perform the best in your growing zones, you should be able to harvest in all three seasons. I also recommend planting your garden in stages so you can harvest throughout the season. I would plant corn 1/3 in week one, 1/3 in week 3, and 1/3 in week five. The third thing to consider is doing the grunt work before the day you are ready to plant. This includes building your boxes, tilling the soil, and putting down compost and/ or fertilizer. This well help you have a more productive planting day and will keep you from getting burn out at the beginning of the season. Take advantage of this great weather and add a few more dollars to the monthly budget! If your kids are like mine, they could eat their weight in chinese donuts when we go to a chinese buffet. I came across this very simple and easy recipe for chinese donuts and a recipe to make your own sweet and sour sauce. These can be served for snacks, dessert, or with a meal. 1. Separate the biscuits and cut into fourths. 2. Heat oil in a deep fryer on medium high heat. 3. Roll each piece of bicuit into a round ball. 4. Drop the dough balls into the hot oil. These will cook very quickly, so don't walk away. Once the bottom has brown, flip donuts and brown on the top. 5. Remove the donuts from the oil and drain. 6. Add the sugar to a medium bowl and toss the donuts in the sugar. 7. Serve them while they are still warm. Combine all ingredients in a sauce pan and mix well. Let the sauce simmer for 5 minutes or until the desired thickness is achieved. My family loves to get chinese take out and their favorite is lo mein. I use this recipe to make lo mein at home several different ways by adding shrimp, chicken, pork, or a combination of them. This recipe is quick and simple to make and will save you money instead of ordering take out. See part 2 for the recipes for homemade chinese donoughts and sweet and sour sauce. 1. Prepare spaghetti according to the directions. 2. Sear the steak, onions, garlic, and mushrooms in the oil until done. 3. Remove the steak from the skillet. 4. Add cabbage and carrots to the skillet and cook on medium heat for 10 minutes. 5. Mix the water, soy sauce, corn startch, ginger, and salt and pepper in a small bowl. 6. Add the steak and sauce mixture to the vegetables and simmer for 3-5 minutes, stirring well to coat well. 7. In a large bowl, mix the pasta with the vegetable mixture until all is coated well. 8. Let sit for a few minutes and serve.